Francesca Stella (Principal Investigator): Francesca is a Lecturer in Sociology at the School of Social and Political Sciences, University of Glasgow. Her previous research projects included: an ethnography on lesbian lives in contemporary Russia; a project on ‘lesbian’ relationships in Soviet Russia; a research report on LGBT asylum in Scotland; and involvement in a knowledge exchange project on translating Russian and Eastern European Cultures. Her publications include the monograph ‘Lesbian Lives in Soviet and post-Soviet Russia: post/Socialism and Gendered Sexualities’ (Palgrave, 2014). She is a member of GRAMNet, a research and knowledge exchange network bringing together researchers and practitioners working on migration. Moya Flynn (Co-Investigator): Moya is a Senior Lecturer in Central and East European Studies, School of Social and Political Sciences, University of Glasgow. Previous research projects have focussed upon: Russian return migration to the Russian Federation in the 1990s; Russian diaspora communities in Uzbekistan; and urban change, urban identities and community relations in Kyrgyzstan and Uzbekistan. Currently, Moya is also participating in an ESRC funded project exploring CEE/FSU migration to Scotland, and how experiences of material and emotional security impact upon longer term intentions regarding settlement Moya is a member of GRAMNet. Anna Gawlewicz (Research Associate): Anna is a Research Associate at the School of Social and Political Sciences, University of Glasgow. Her interests include migration, transnationalism, social diversity, sexuality, post-socialism and Polish migration to the UK. She holds a PhD in Human Geography from the University of Sheffield. Anna’s PhD looked at how migration from Poland to the UK impacts on people’s values and attitudes towards difference in terms of ethnicity, religion, class, sexuality, gender, age and disability. Jon Binnie: Jon is Reader in Human Geography at Manchester Metropolitan University. He is an urban, social, social and political geographer whose research interests concern the urban and transnational geographies of sexualities. His work focuses on the geographies of LGBTQ political claims and their connection to issues of social and economic justice. He is the author of ‘The Globalization of Sexuality’ (2004) and co-author of ‘The Sexual Citizen: Queer Politics and Beyond’ (2000), ‘Pleasure Zones: Bodies, Cities, Spaces’ (2001) and ‘Sexual Politics Beyond Borders: Transnational Activist Networks and LGBTQ Politics in Europe’ (forthcoming). He is also the co-editor of ‘Cosmopolitan Urbanism’ (2006). Jon is presently engaged in two empirical projects with Dr. Christian Klesse (Sociology, MMU) which both focus on transnational sexual politics in Europe. The project ‘Transnational Activism and LGBTQ Politics in Poland’ explores issues of transnational co-operation and solidarity in contemporary LGBTQ politics in Poland. The project ‘Queer Film Festivals and Cultural Activism in Europe’ examines how LGBTQ film festivals create communities and sustain modes of queer visibility in different urban localities across Europe. This project involves data collection at a wide range of sites in the Czech Republic, Germany, Ireland, Italy and Serbia. Monique Campbell: Monique works for the West of Scotland Regional Equality Council (WSREC) and is Project Co-ordinator for the Connected Communities Challenging Hate (3CH) and Good Community Relations (GCRP Hate Crime) Projects. WSREC is a charity tackling social disadvantage through projects and advocacy work. Its vision is to see an inclusive society free from discrimination. Its aims are to work towards elimination of discrimination in all forms in the West of Scotland, reduce inequalities and promote a culture of human rights and good community relations. 3CH delivers: participatory youth workshops to enhance knowledge of and ability to challenge the negative influences that prejudice in all forms has on communities; training for youth and community workers to increase skills and confidence to effectively deliver anti-prejudice behaviour work in schools and community settings; facilitates community development; and curates community conversations. GCRP (Hate Crime) aims to challenge hate crime in Scotland through: media campaigns; delivering awareness sessions to minority groups; and supporting victims of hate and discrimination. Rebecca Kay (Co-convenor GRAMNet, Professor of Russian Gender Studies): I am co-convenor of the Glasgow Refugee Asylum and Migration network at the University of Glasgow, a network of academic researchers and knowledge exchange partners from the fields of policy, practice and the arts. GRAMNet is the leading centre for integrated research and knowledge exchange in the field of migration, refugee and asylum studies in Scotland and hosts a wide range of research projects, events and activities. My own research focuses on migrant’s experiences of social (in)security in Scotland and their longer term intentions regarding settlement. I have also been interested in studying gendered experiences of socio-economic, cultural and political transformation since the early 1990s. I have undertaken ethnographic research into both women’s and men’s experiences of post-Soviet transformation in Russia and considered engagements with grassroots organisations as well as state-led support mechanisms a means of negotiating these gendered transformations. Brandi Lee Lough Dennell: Brandi Lee is Assistant Policy Director at LGBT Youth Scotland, the largest youth and community-based organisation for lesbian, gay, bisexual and transgender (LGBT) young people in Scotland. Brandi Lee is based within the Policy and Mainstreaming Team and leads on the LGBT Domestic Abuse project. With a PhD in Social Anthropology, Brandi Lee has worked on issues related to discrimination and inequality and, since joining the organisation in 2010, specifically on LGBT people’s experiences of gender based violence. Her role focuses on improving the organisation’s research base and disseminating that knowledge, as well as supporting the improvement of services through policy engagement and training delivery. Jennifer McDougall: Jennifer is an ESOL practitioner with over 20 years experience in this field. Jennifer holds a Diploma in TESOL and an MSc in Applied Linguistics. From 2007 to 2011, working as project manager, she led on the development of a suite of teaching qualifications for ESOL practitioners in Scotland. The project was delivered through the Scottish Qualifications Authority (SQA), funded by the Scottish Government as part of the Adult ESOL Strategy for Scotland. Currently she works in a freelance capacity for a number of organisations and is involved in teaching, training, examining and writing both in Scotland and overseas. Tanveer Parnez: Tanveer is Director of National Development at BEMIS. BEMIS is the ethnic minorities led national umbrella organisation for the ethnic minority voluntary sector and the communities that this sector represents. It is a strategic partner to the Scottish Government leading on race equality work and policy development. It works within the three overarching strategic objectives: to empower and build the capacity of minority formal and informal community organisations; to lobby & influence policy development in relation to the race equality /cross equality agenda across Scotland (Strategic Partnership Role to the Government); to promote Human Rights Education and active citizenship at a national and international (European & multicultural Scotland) levels, ensuring effective use of its network both nationally and across a diverse range of cultural communities. 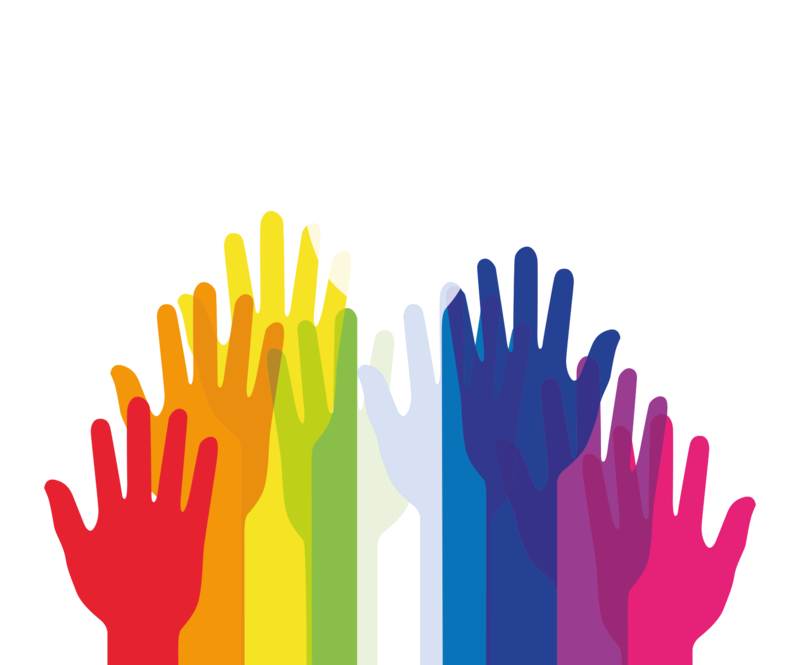 In 2009, BEMIS (in partnership with Equality Network) was involved in the first ever research on the situation of minority ethnic/LGBT people in Scotland. In 2011, in partnership with Equality Network and Glasgow University’s GRAMNet, BEMIS was engaged with the publication of ‘Sanctuary, Safety and Solidarity’ – the first research into the situation of LGBT asylum seekers and refugees in Scotland. Roona Simpson (Lecturer in Social Sciences Research Methods, University of Glasgow): My main area of research focuses on family and household change, and I have conducted various studies on single women, living alone, and delayed childbearing amongst women and men. Information on publications can be found by clicking on my name. I also have a longstanding interest in research methodologies, with a particular interest in feminist epistemologies, narrative analysis and mixed methods. I am co-editor (with Lynn Jamieson and Ruth Lewis) of ‘Researching Families and Relationships: Reflections on Process’ (Palgrave Macmillan, 2011). Andrew Smith is Reader in Sociology at the University of Glasgow, and a co-investigator with the ESRC funded Centre on the Dynamics of Ethnicity, which is exploring the changing nature of ethnic diversity and inequality in the UK since the second world war. More generally his research is concerned with understanding the politics of culture in the context of empire and its aftermath. He teaches courses on imperialism, cultural sociology and black radical social theory, and is the author of C.L.R. James and the Study of Culture (Palgrave, 2010) and of Racism and Everyday Life (Palgrave, forthcoming 2015).